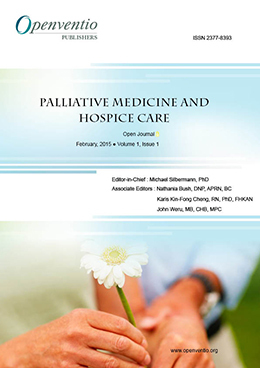 Product or Process: Cultural Competence or Cultural Humility? 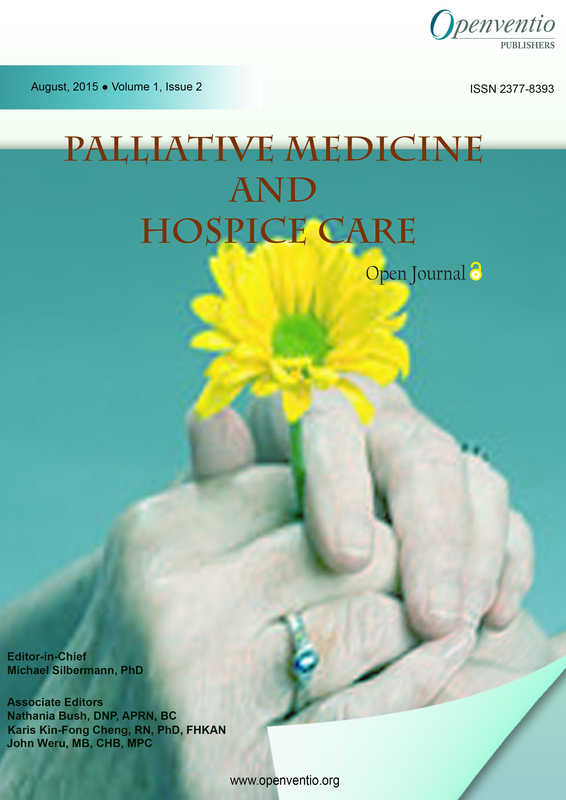 Palliative Medicine and Hospice Care – Open Journal (PMHCOJ) aims to publish advances in palliative care and medicine with an insight to improve the quality of life (QoL) of the patients, helping them in better physical, physiological and emotional recovery. 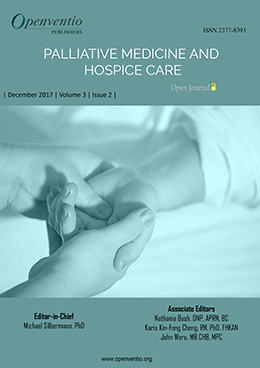 A small distinction is been made between hospice and palliative care wherein hospice care requires two physicians certify that the patient will not live more than six months of time should undergo this program. 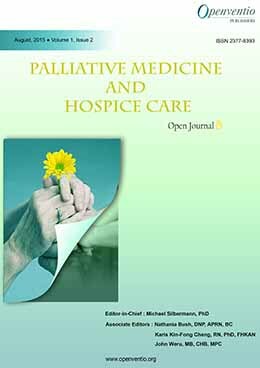 However, Openventio aims to widespread all the detailed matters related to palliative and hospice research and treatment through its open journal to the scientific community for the welfare of the patients. 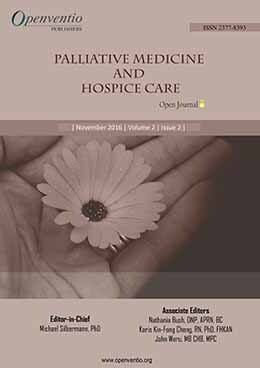 Palliative Medicine and Hospice Care – Open Journal (PMHCOJ) is dedicated to the open dissemination and robust discussion in the area of palliation and its related fields. 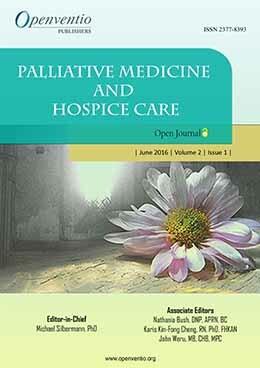 Submissions for this journal are accepted from the very basic palliative medicines research activities to the recent advancements. 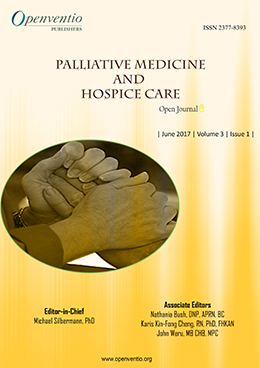 The audience of PMHCOJ includes surgeons, physicians, pharmacists, registered nurses, healthcare professionals, clinicians, physiotherapists, housekeepers, occupational therapists, complementary therapists, volunteers, investigators, practitioners, social workers, nursing assistants, educators, hospice chaplains, students and general community. 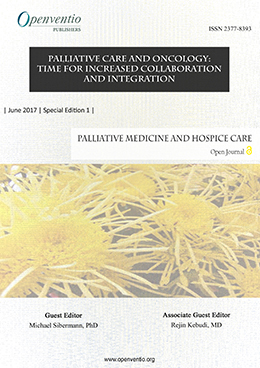 We are open to receive comments and corrections from any subject experts to improve the quality of our journal.